The Radner Reading Chart International include charts in English, German, French, Italian, Spanish, Portuguese, Brazilian Portuguese, Dutch, Danish, Swedish, Hungarian, and Turkish. 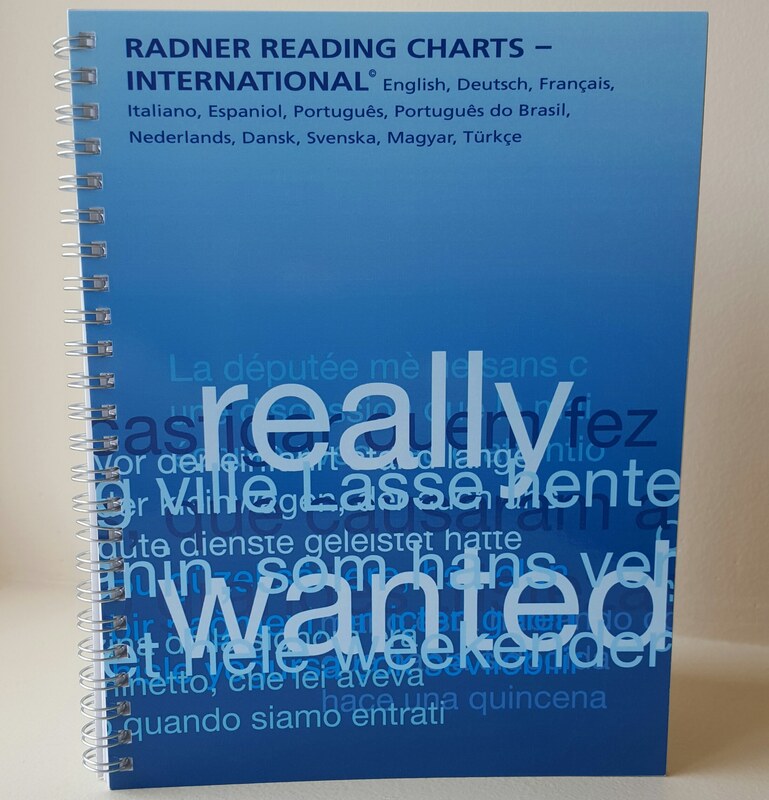 The Radner Reading Chart International include charts in English, German, French, Italian, Spanish, Portuguese, Brazilian Portuguese, Dutch, Danish, Swedish, Hungarian, and Turkish. Please contact us for more details. 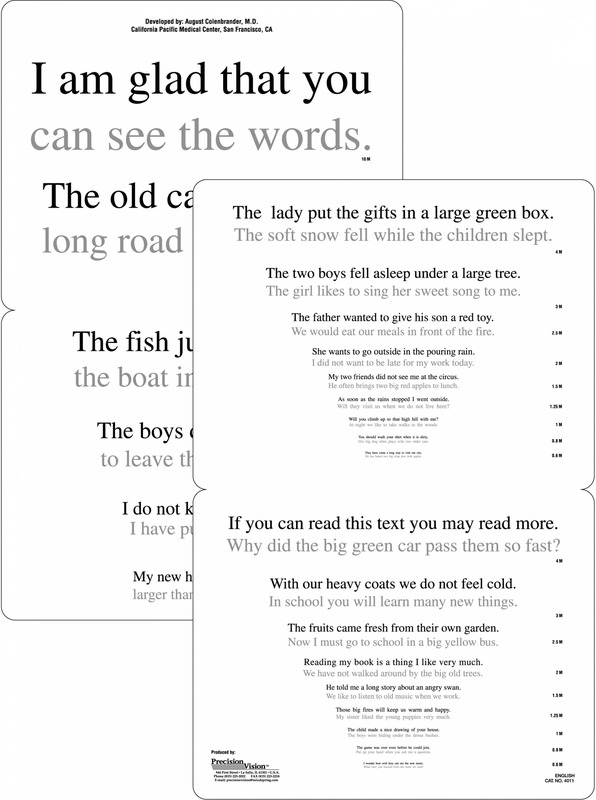 What are sentence optotypes and why are they useful? 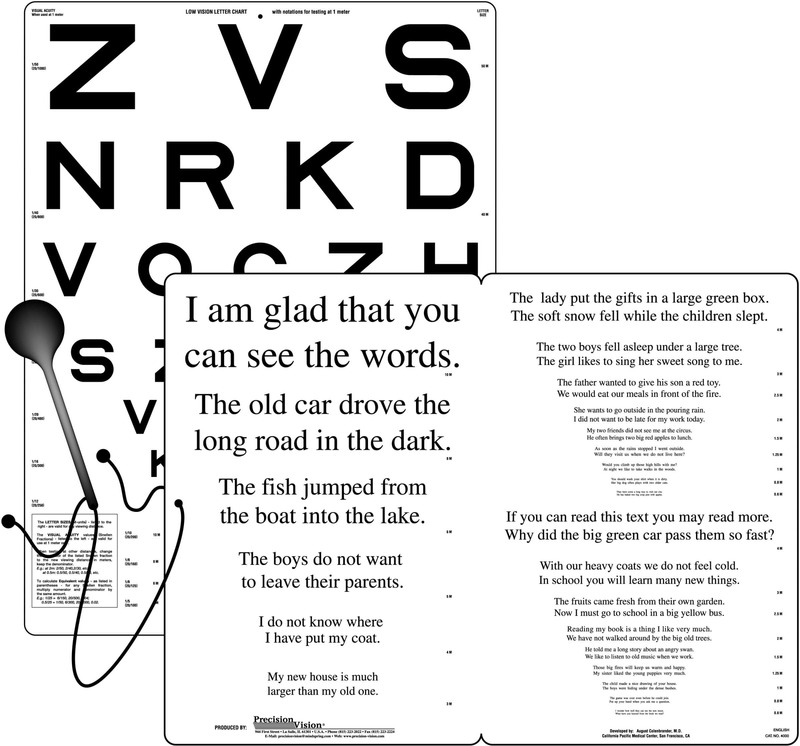 The reading chart consists of sentence optotypes, which are optimized reading test items, standardized by construction and statistical selection. 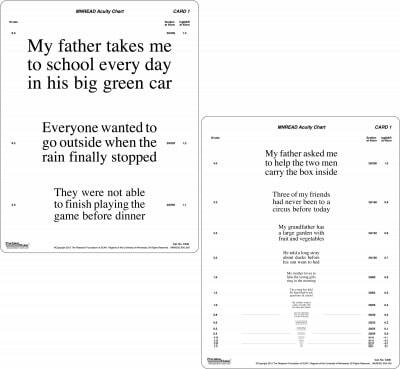 Sentence optotypes consist of short sentences that are highly comparable in terms of number of words (14 words), word length, position of words, lexical difficulty and syntactical complexity. 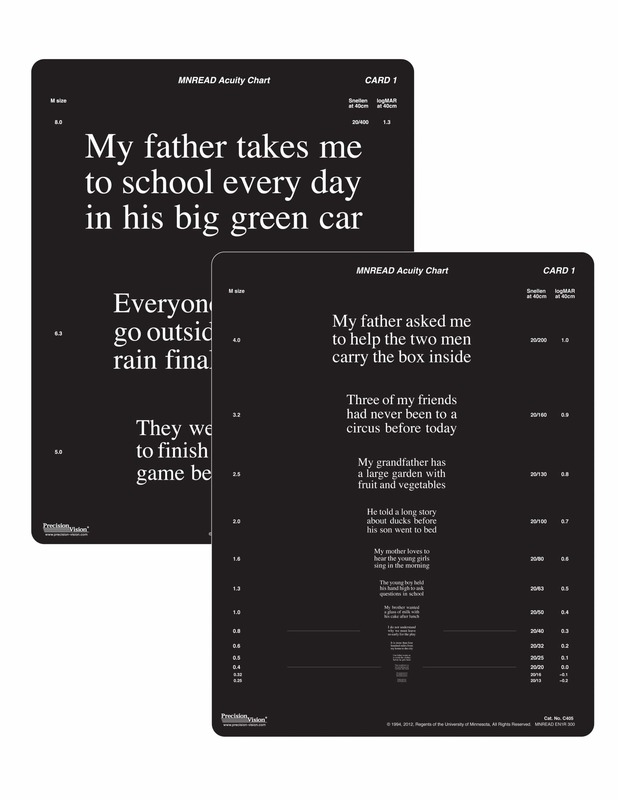 Language specific characteristics were taken into account as were the number of letters and syllables per word, line, and sentence. 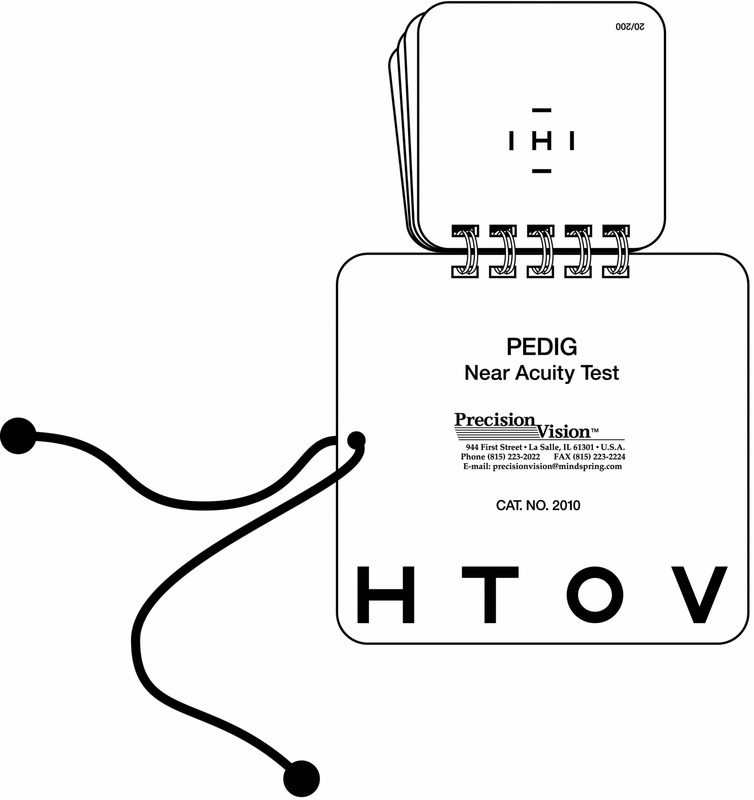 A larger series of such sentences were then tested in different groups of probands (n=200) and the specific sentence optotypes for the reading charts were selected based on reading length, reading errors, reliability and statistical validity analyses. 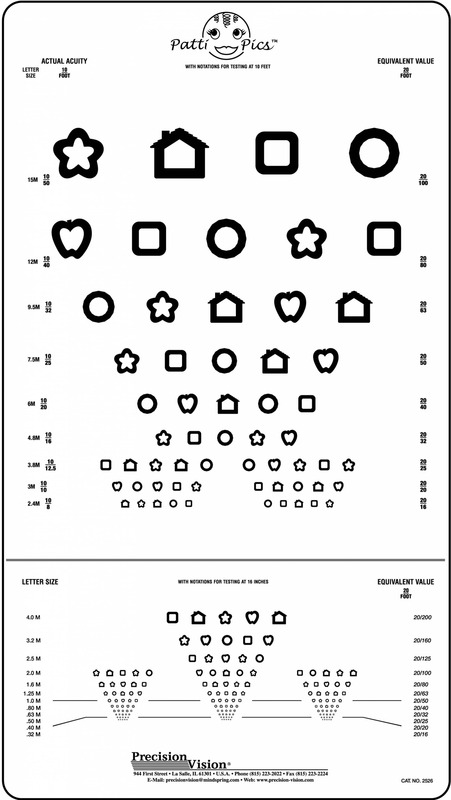 The advantage of such sentence optotypes is that they minimize variations between test items and keep the geometric proportions constant. 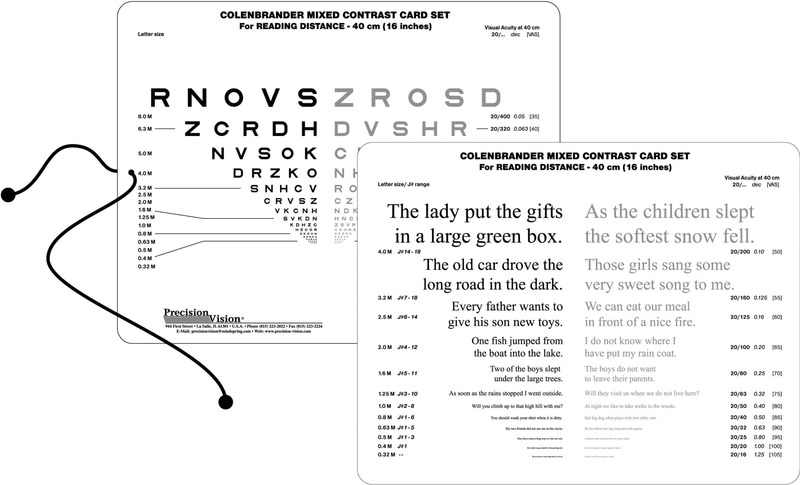 Changes in reading performance with smaller print sizes are therefore related to the print size and not to text characteristics. 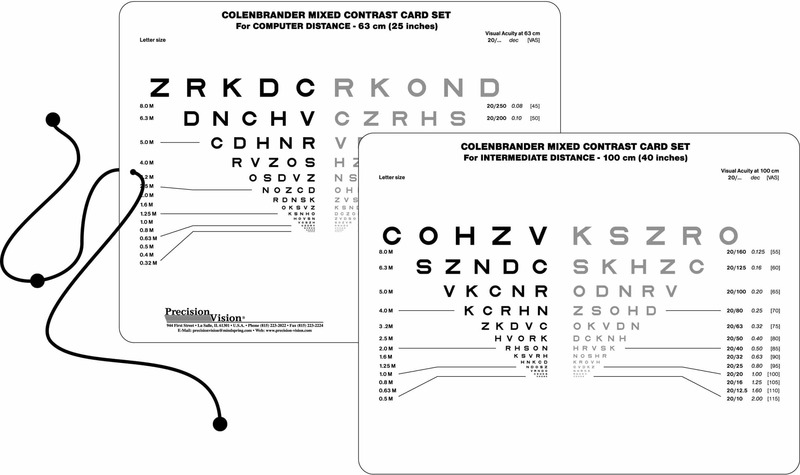 Together with a logarithmic scaling of the print sizes, it enables accurate and comparable measurements of reading acuity and/or reading speed at different acuity levels, independently of viewing distance. 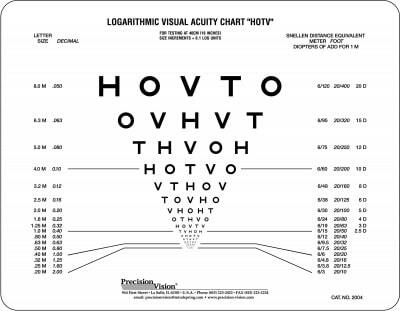 Standardization was done in cooperation with the Institute of Medical Statistics, University of Vienna (led by Professor Bauer) using a test-retest reliability , inter-chart reliability and a variance component analysis in patient groups of various levels of visual acuity. 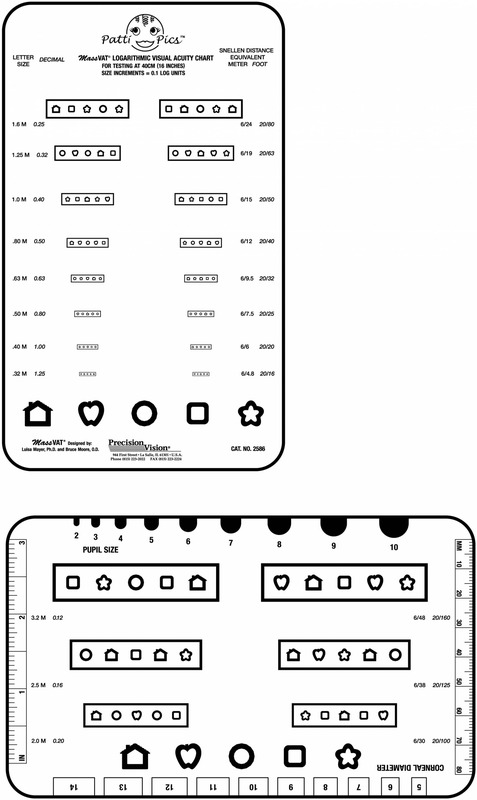 The results showed an excellent reproducibility, validity, test reliability and inter-chart reliability. 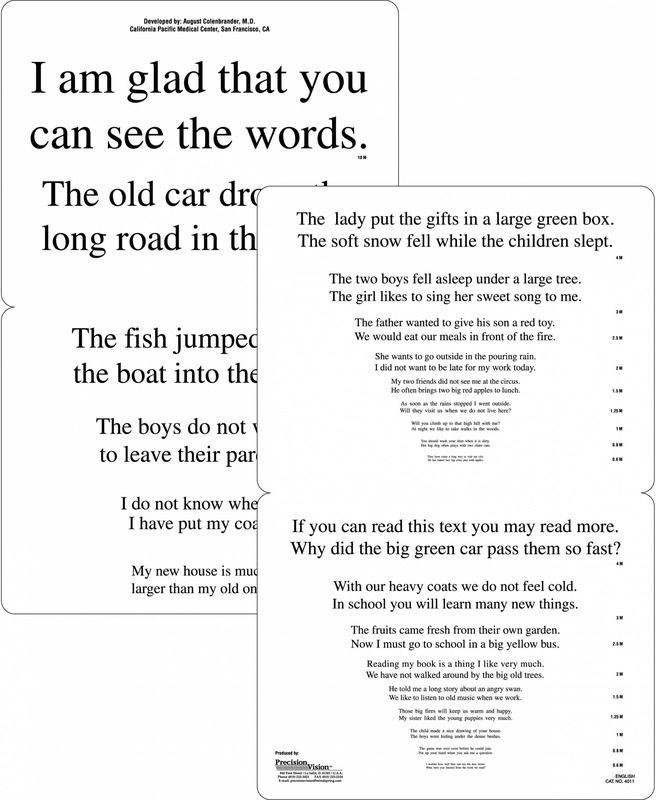 Calculations are based on real word counts and, in addition, it has been shown that the reading speed measurements obtained with sentence optotypes correlate well (r>0.9) with that of standardized long text paragraphs.